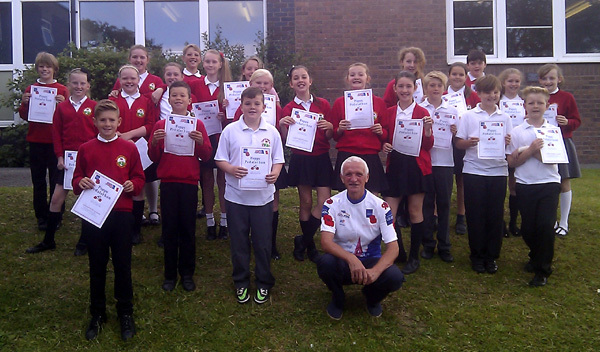 Last month four Flintshire Primary Schools took part in the 5th annual Poppy Pedalathon at Llandegla Mountain Bike Centre. 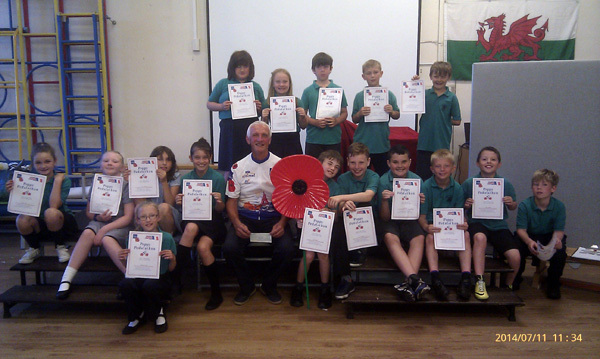 Children from Year 6 raised sponsorship which will be donated to The Royal British Legion. During last week, Eifion visited the schools to say a massive thank you to the children and to present them with certificates. 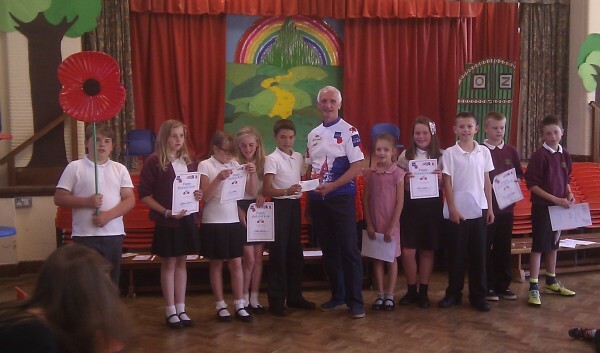 In return each school presented him with their sponsor money in the form of a cheque payable to The Royal British Legion. Eifion said he was overwhelmed by the children’s fantastic efforts in meeting the challenge at Llandegla and in raising sponsorship. He also wanted to record his huge appreciation to all the volunteers that helped that day including the Instructors from British Cycling who devised and managed the activities. The fourth school’s photograph – Ysgol Sychdyn – will appear soon. We haven’t got it yet.